In this question type candidate is provided with an Audio or Video based on which questions are asked. 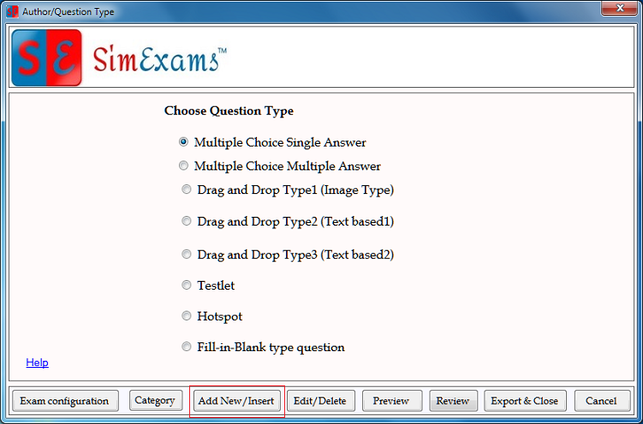 Minimum 4 and maximum 6 answer choices can be given for each question. candidate has to choose one or more correct answer. 1. 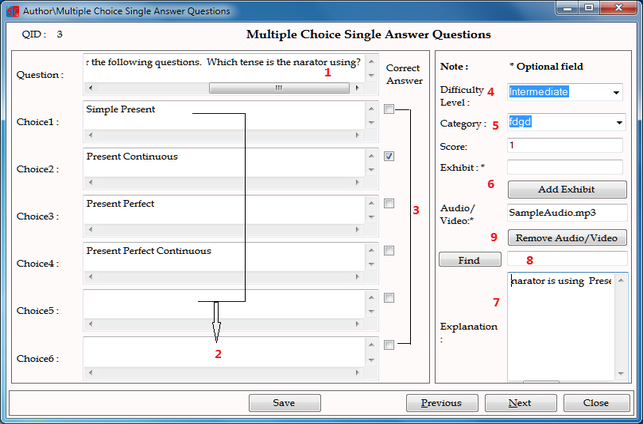 Entering a new question : To enter a new question select "Multiple Choice Single Answer" OR "Multiple Choice Multiple Answer" under "Choose Question Type" and click on "Add New/Insert". 9. 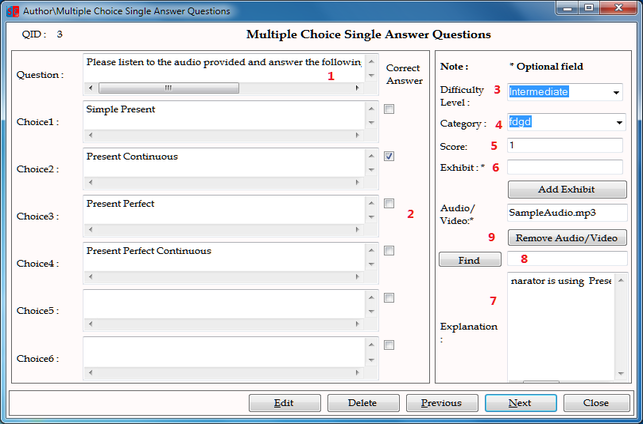 Audio/Video : This option is used to provide the audio/video file used for the question. To select the audio/video file click on "Add Exhibit" button, browse to the file location and select it.